Location, location, location. Just steps away from shopping, Oviedo's newest restaurants and A-rated schools, you won't want to miss this amazing townhome located in the heart of Oviedo. This 3 bedroom, 2 and 1 half bath townhome features designer upgrades, custom decorative touches and plenty of open spaces. Enjoy cooking in a dream kitchen with stainless appliances, 42" cabinets, granite countertops with large breakfast bar for morning coffee. Relax in the evenings in the Master Bath featuring a luxurious soaking garden tub with dual sinks and separate water closet. The master bedroom is a owners dream with a large walk in closet and tray ceilings. The other 2 bedrooms are nicely appointed and perfect for growing families, college attendees or out of town guests. The back yard patio overlooks a peaceful conservation area- perfect for grilling, quiet evenings at home or enjoying the sites of Florida wildlife. 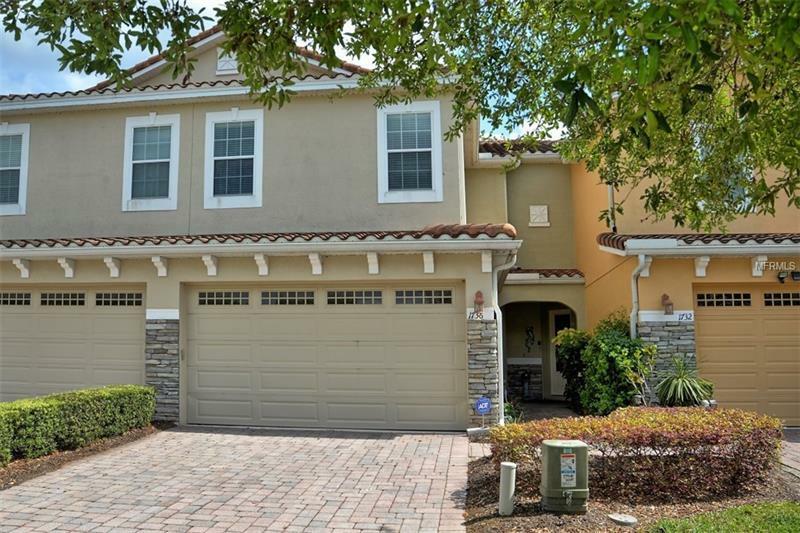 Isles of Oviedo is a cozy gated community featuring a pool, playground and green space. Pet Restrictions: Please refer to Association for Breed, Weight and any Pet Restrictions. Is the buyers responsibility to verify pet restrictions with Association.